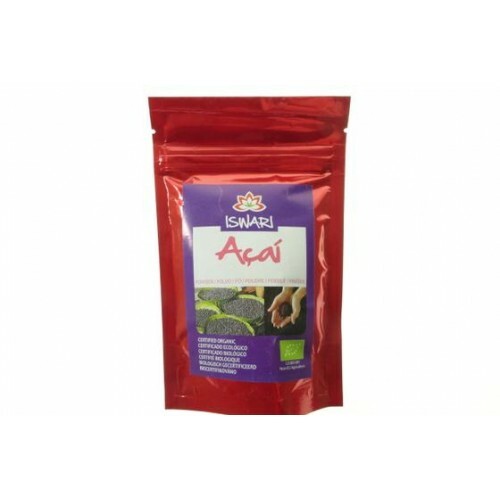 Acai 70gr Bag - Lyophilized Powder - 13.50 euros. minimal dose would be 5gr - 15gr is plenty. Its Very Energic Fruit that carry plenty of Vitamin and Minerals with Strong Anti Oxidant Properties. but usually juice store allow you to choose how you want yours made. that is a great mix of Healthy Cereals/Fruits/Seeds that carry a great Micro Profile as well. the ones who have a sweet tooth will ask for Dark Brown Sugar as an Extra..
its made from Natural Sugar Cane with no Refined Process, just plain natural sugar. its very thin wet powder that if you hold tight on hand you can make a sticky wet ball with it. at the end you have a balanced meal with great macros. its realy good ,, really good drink ,, this is my sugars pretty much,, this is what I mean when I say sugars all the time... pineapple bananas acai,, fellas always think I eat bunch of cookies lol no my friends ...the simple sugar for insulin I talk about is this 3 ... pineapple acai and bananas mainly..
A?a? is often crushed with some bugs called "barbeiros" that carry trypanosoma cruzi, the causing agent of chagas disease, a very lethal and serious heart condition, so only eat a?a? from a good source. I've also seen foreigners call it ah-kai, which is incorrect. Learn how to pronounce it: ah-sah-ee. PS - Just noticed that the forum shows special characters as question marks, so if you want to see how it's spelt, simply Google it. what do you think is better though the puree or the powdr? Yes, it's pasteurized. I mentioned that for people visiting the Amazon area and buying from street vendors. I don't know if one is healthier than the other, but I prefer the puree blended with banana, papaya and a bit of honey, granola on top. I enjoy the juice as well. It's an amazing fruit. You feel healthier 5 minutes after eating or drinking it. I just love this fruit. Usually I drink it after training mixed with bananas. now this! is! the! sugars! you! should! be! on! is maqui better than acai? or acai is uniqe due to specific reason? i know maqui suppose to have double the anti oxidants in it ...but i wonder ...is there anything tht make acai better? Both have anthocyanin, one of the best in Anti Aging Field. Acai berries contain 10 times more antioxidant vitamins than grapes and twice as many as blueberries. The antioxidants in the acai were found to be exceptional against the peroxyl radical and could enter human cells in a fully functional form even at low doses. maqui berry is higher than the average acai berry. we should look for ORAC readings. 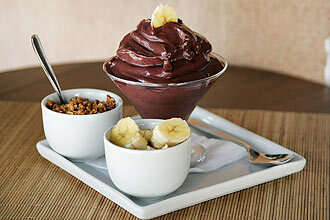 as compared to 16,700 per 100-gram portion of the acai. I still Love my Acai + Banana Blended with Crushed Ice. few Granola on Top make it delightfull and VERY rich meal. ^^ I'm VERY glad and Flattered You feel this way. I believe it should not happen unless it comes with additional things other then Acai..
may find that berries cause digestive upset, such as gas and bloating. Acai berries are a great option since they contain no fodmaps and provide anti-inflammatory benefits to the colon and digestive tract. the Bloating as in water retention usually are from Acai who comes with additional sugar as Syrups, dextrins and similars like Liucas said about it. wich brand did you use? Are All Acai Supplements Created Equal? In our last article we learned the good news - Acai can be freeze dried into a powder that retains all the nutrients of fresh Acai. That powder can then be put into capsules to give you a convenient freeze dried superfood in a capsule. Does that mean that all the Acai supplements on the market are equal? Of course not - nothing is ever that easy. Let's learn why? There are cheaper ways to make Acai powder. 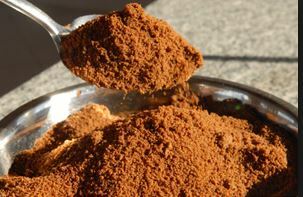 There are quicker and easier ways to make Acai powder. However, the best way to make Acai powder is to freeze dry. The freeze dried process which Earthfruits uses is low heat, introduces no carry agents and retains all the nutrients of the Acai berry. As we stated in the last article, 1 gram of Earthfruit freeze dried power is equal to about 7 grams of fresh Acai berry. 100 grams of fresh Acai has an impressive antioxidant rating of 5,500 ORAC score but 100 grams of freeze dried Earthfruits Acai powder has an amazing ORAC score of over 70,000! What about Spray Dried Acai supplements? There is a much cheaper way to process Acai and make Acai supplements - it is called spray dried Acai. The Spray Dried process involves heating the Acai to high temperatures to remove the water and spraying the Acai with carries such as maltodextrin. To put it bluntly - spray dried Acai is a terrible idea! The first problem with the spray dried process is that it requires heating the Acai to very high temperatures. The problem is that the high temperatures kill off many of the nutrients in the Acai. The second problem is that the spray dried process involves using a carrier agents such as maltodextrin to dry the Acai. In the end, 40% of the "Acai powder" is actually maltodextrin. So, if you see a spray dried Acai supplement that claims to have 500mg of Acai per capsule - it probably only has 300mg of actual Acai per capsule. Spray dried Acai *****, while cheap to buy, are vastly inferior to freeze dried Acai *****. Can I just look for Maltodextrin on the label of Acai products? You can look - but you will never find it! Since Maltodextrin is added during the manufacturing process, it technically does not need to be listed as an ingredient on the label. It is just a loophole in the FDA labeling laws, but since Maltodextrin is a product of the manufacturing process and not an "added ingredient" - it does NOT need to be listed on the label. If a Acai supplement does not say "Freeze Dried Acai" on the label - we would not recommend it. What about Acai Extracts - like 4:1 Acai Extract? With herbal supplements, extracts involve isolating one element of the plant and extracting it. For example, with the coffee bean plant you may want to create a caffeine extract. This would involve isolating the caffeine in the coffee berry and extracting. When it comes to Acai - extracts make no sense. The health value of the Acai berry comes from the whole fruit. As we discussed in the Nutritional Value of Acai article, there are many positive nutrients in the Acai berry. So, what exactly do you want to extract from the Acai berry? In truth, you want the whole Acai berry - not just an extract. The other issue with extracts is that almost all are made from spray dried Acai. The only thing worse than spray dried Acai is an extract of spray dried Acai. It should then come as no surprise that the ORAC value of Freeze Dried Acai has tested 50 times as high as that of spray dried Acai extracts. Don't let phrases like "4:1" and "super concentrated extract" fool you. You want all the nutrients of the whole Acai berry, and you can only get this in freeze dried Acai powder. When does an extract equal a concentrate? Extracts and concentrates SHOULD be two different things, but in the world of supplements the two terms are sometimes mistakenly interchanged. Some Acai companies say that their 4:1 Extract means that 4 grams of Acai pulp are used to make 1 gram of Acai powder. The correct term for this would be a concentrate - not extract. Even assuming that a company that advertises Acai 4:1 Extract means Acai 4:1 Concentrate - this is still not very impressive. 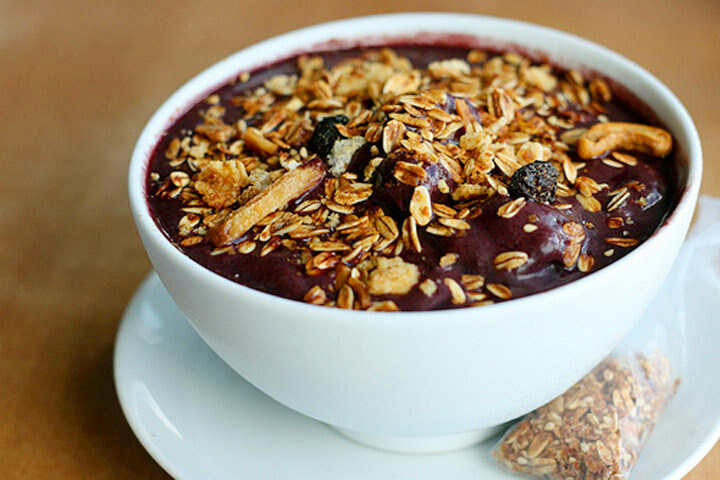 Perfect Acai?, the brand we recommend uses a 7 to 1 concentrate of Acai pulp to powder. Gram per gram, 50% more Acai is used to make Perfect Acai? than 4:1 Acai *****. When does Acai lose 90% of its Nutritional Content? When a company uses the Acai Seed in their Acai product! The Acai berry is 90% seed, with only 10% of the berry edible. In the Amazon Rainforest, they eat the skin and pulp of the Acai berry and discard the seed. All the research and nutritional information we discuss is based on just the Acai berry skin and pulp. When you hear Dr. Perricone, Dr. Oz and every other expert discuss the amazing nutritional profile of the Acai berry - they are talking about just the skin and pulp. Companies that make legitimate Acai products use only the Acai skin and pulp (of course the Perfect Acai uses only the skin and pulp). These companies have come up with creative uses for the Acai seed - they make Acai necklaces and even burn the seeds as a renewable energy source. The one thing that no legitimate Acai sponsor would ever do is crush the Acai seeds and sell them as juice or supplement. Unfortunately, it has come to our attention that a number of companies are selling Acai products that contain the Acai seed. These products therefore contain 90% less Acai (as defined by the edible portion) than Acai products that use only the skin and pulp. An Acai juice that has 30 grams of Acai, BUT uses the whole berry (including seed) - by definition would only have 3 grams of Acai pulp and skin. Consumers that ingest Acai seed products are consuming a product that has been the subject of very little research and in no way reflects how the indigenous people of the Amazon Rainforest have enjoyed Acai for thoGlobalnds of years. Our recommendation - steer clear of any product that is made with the Acai seed! Does it matter which company makes the Acai powder? Yes, yes and YES! As we have discussed, Acai is highly perishable, so you want to make sure the company making the Acai powder is using fresh Acai berries. After all, the best freeze drying techniques really don't mean much if you start with spoiled Acai berries! You also want a company with strong relations with the indigenous people of the Amazon who will be picking the Acai berries. 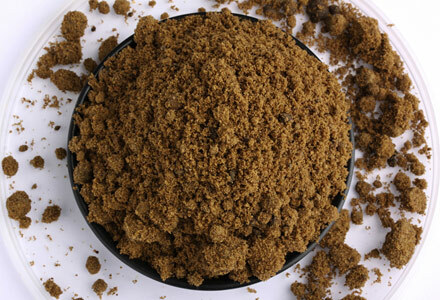 When it comes to pure Acai, there is one company which we believe offers the best quality freeze dried Acai powder today - Earthfruits. In our next article we will discuss why Earthfruits is a world leader in quality Acai. It is clear that not all Acai supplements are created equal. The highest quality Acai supplements will be made with Earthfruits freeze dried acai. 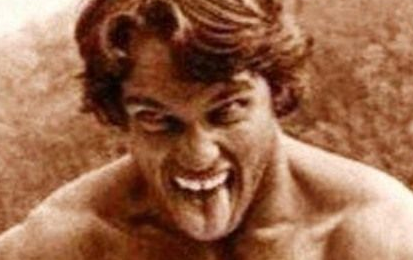 Spray dried and "extract" Acai supplements should be avoided at all costs. What makes Earthfruits a world leader in quality Acai? We take a look at this in our next article"
introduces no carry agents and retains all the nutrients of the Acai berry. ...1 gram of Earthfruit freeze dried power is equal to about 7 grams of fresh Acai berry. 100 grams of freeze dried Earthfruits Acai powder has an amazing ORAC score of over 70,000! ..If a Acai supplement does not say "Freeze Dried Acai" on the label - we would not recommend it. This is VERY potassium Rich and with HIGH AntiOxidants profile. great micro profile in globalge with plenty of minerals and omegas. if one needs more slow release profile make it Granola instead of Dark Brown Sugar, but this brings more fat,, insulin users must get dialed. Rye Floor that is Superior Cereal! wich is great as everyone can check on Increlex Thread. and can be an option. Should have Guarana Powder from Iswari on the blend. I have not mentioned but Graviola (Annona) is known to be one of the best Fruits to fight Cancer! Members should really pay attention to this fruit.